The Australian Work Health and Safety Strategy 2012-2022 identified the construction sector as a priority industry to target in reducing the occurrence of workplace injury nationally. This is due to the high injury and fatality rates seen across the construction industry. Over the 11-year period 2003 to 2013 there were 401 work-related fatalities in the construction industry, an average of 36 every year. In the same period, 12,600 employees made a Workers’ Compensation claim. This equates to an average of 35 employees each day being injured seriously enough to require one or more weeks off work. These high fatality and injury statistics can be attributed to the role of the construction worker. Constructing, altering, repairing and wrecking buildings or structures presents significant risks and hazards to their safety. The following are some of the most common risks. The construction of buildings often requires employees to work at height, which accounts for over one quarter (28%) of construction industry deaths [Work-Related Injuries and Fatalities in Construction, 2015]. The use of ladders, mobile ramps & stairways, and scaffolding exposes workers to the risk of falling from height. When working at height, workers often have access and mobility restrictions, which is another factor that significantly increases this risk. The construction site is constantly changing as the project progresses. In an ever-changing, hectic environment with a large number of constantly moving vehicles and trades people, hazards are ever present. Overhead lifting equipment, supply vehicles and dump trucks are always manoeuvring around the tradesmen, materials and structures on the building site, which greatly increases the chance of an accident. With such a huge and diverse range of activities going on at any one particular time, slips, trips, and falls on-site occur regularly on the construction site. 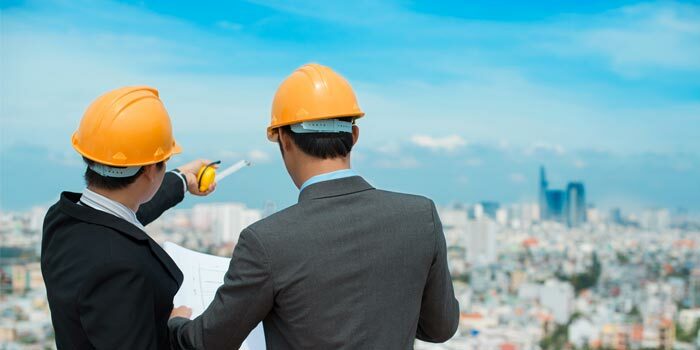 The environment consists of holes in the ground, buildings at various stages of completion, scaffolding and stored materials and equipment, which greatly increases the chance of accident. Workers in the construction industry are consistently exposed to repetitive, excessive noise, which can cause accidents in both the long and short term. Some construction workers experience long-term hearing problems, while others are distracted by the noise on-site, which can lead to unnecessary mistakes that result in the injury of themselves or someone else. On a construction site, materials and equipment must be lifted and moved. In some cases, lifting equipment may be used but a lot of the time workers are required to do this task manually. This can lead to significant lower back injury, which accounted for 15% of injuries across the sector according to Safe Work Australia report . Excavations and trenches are subject to collapsing, which can bury or seriously injure the people working in them. The risk of a collapse is generally more associated with demolition works, or when a partially completed building or scaffolding collapses. This accounts for a significant percentage of fatalities in the construction sector each year. Construction workers often work closely with electricity, during refurbishment work on commercial and domestic buildings, or working near overhead power lines and cables, which exposes them to the risk of electrocution. This risk increases when workers who are not qualified electricians such as plumbers and joiners carry out electrical work. When working in the construction sector, it is imperative that all legislation is adhered to as a first point of risk management. The workforce should also be adequately trained in order to reduce the chance of an accident occurring. There are certain other steps that can be taken to minimise risk across the sector. Speak to your insurance broker for more information.